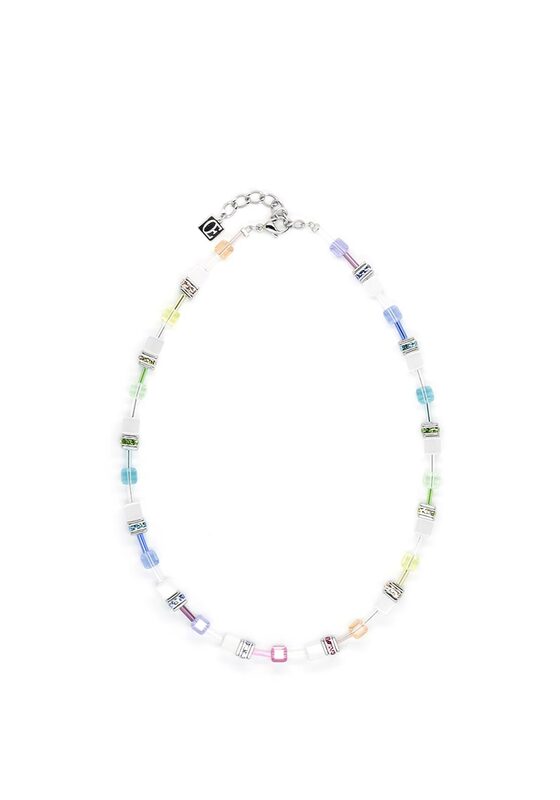 This colourful creation from Coeur de Lion would be a timeless addition to your jewellery collection. This necklace is hand-finished from synthetic, coloured tiger’s eye and combines sparkling Swarovski crystals, delicate glass cylinders and rhinestone beads. This necklace is presented in Coeur de Lion packaging and offers matching items.